One of the most important things in trading is the ability to know market sentiment. Traders need indicators to observe, analyze, and predict market movements. There are various indicators used by traders. But of all that, the most appropriate indicator is price. There is no single indicator that can match prices. 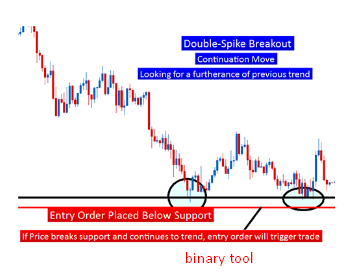 Therefore, in this article we will review the changing trends of price action. If you consider the price pattern, there are two price action patterns called double bottom and double top. Both can be used as references to predict future trends. After a move, usually the price will bounce or stop. This is a guide for traders that something has affected prices. Unfortunately, we sometimes forget the pattern and price formation that is happening, whether the price will bounce or stop. Whatever your reasons for trading, focus on the strategy you want. Decide which direction you want to work on. It is important to know that the price can reverse the trend direction very easily and also be able to move for a long period of time. In addition, keep in mind that the price has moved back and forth twice until finally penetrating the support or resistance area. In a situation like this, you are advised to take advantage of the risk ratio by taking a TP: SL of 2: 1 or a profit greater than a loss. 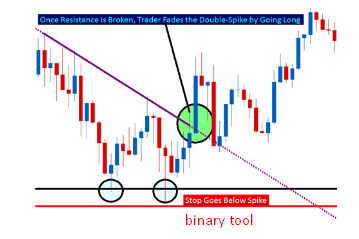 You need to remember, this strategy can be applied to one spike pattern. If you use breakout spikes, you are advised to wait until the price passes the previous spike. 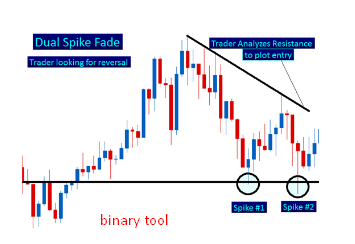 But if you use a fade spike, then you are advised to wait until a point of resistance or support forms away from the spike.